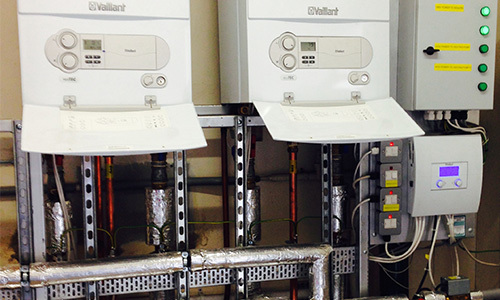 Manchester Commercial Plumbing and Heating Specialists. 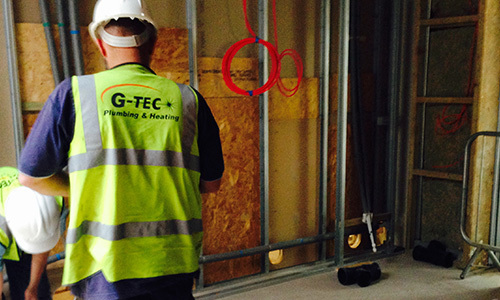 There is no job that G-Tec will not take on, No job is too big or too small. We have a lot of experience at commercial plumbing and are known for our finest attention to detail and high efficiency in installing these systems. 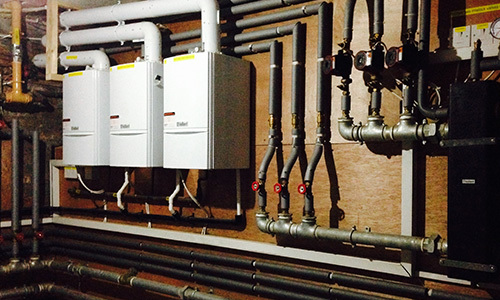 We are Gas Safe (Corgi) registered for installing domestic and commercial installations. We have experience in industrial pipe-fitting and heating and work is carried out to the highest standard as all our staff are highly skilled and fully qualified. 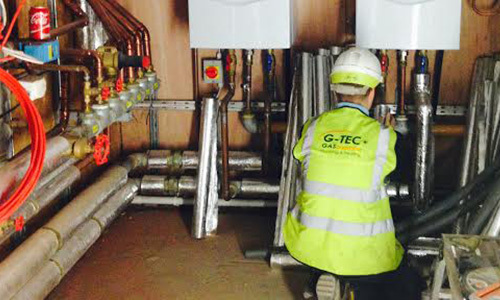 We are able to work on a large range of commercial pipe work from steel pipe to Press Fittings. We only charge from the time of arrival, ensuring no extra additional fees. Professional, reliable plumbers with excellent customer service and results. Plumbing services are available throughout the Manchester and Northwest Area. All of our plumbing services come with a 100% guarantee on our work. Look no further phone G-TEC Manchester plumbers now for a FREE no obligation quote from our friendly easy going staff.